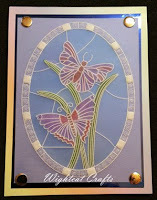 Thought I'd show you a few examples of the lovely Stained Glass EasyEmboss Templates from PCA. 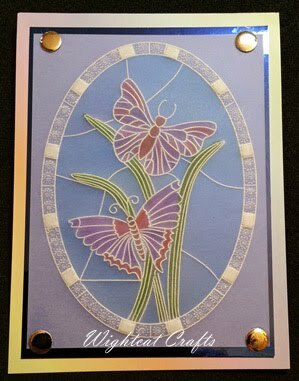 Like all the templates they are really versatile and you can infill them and just use parts of them, mixing and matching as you go. 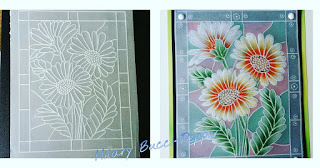 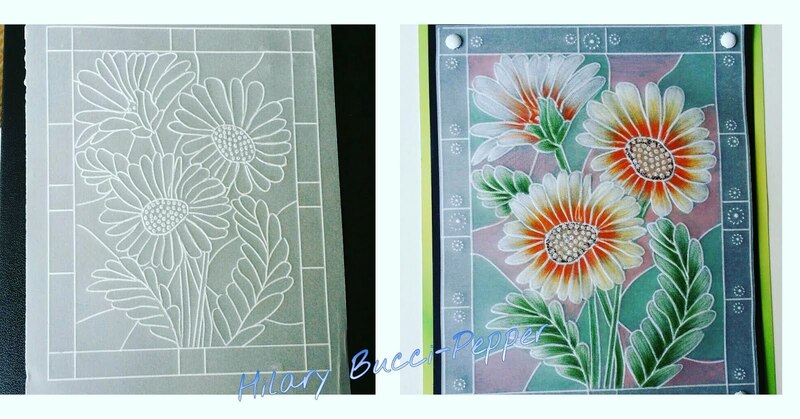 So here's the Daisies template, the first picture is just how it looks when you have used the template to make your outline on your parchment paper, and the second picture is coloured using FaberCastell Polychromos pencils, some have been blended on the back with Dorso oil and then the colour has been enhanced on the front. 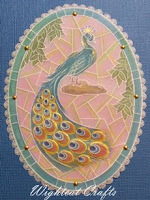 Wightcat Crafts is a Newport, Isle of Wight based Craft shop. 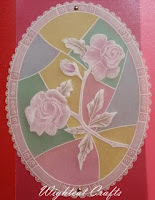 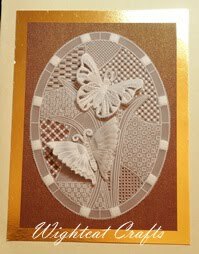 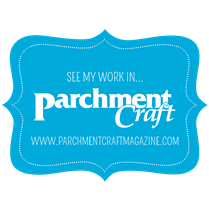 We are Parchment Craft Specialists...so we have absolutely everything Pergamano & PCA and lots of Parchment Craft Patterns some of them exclusive to Wightcat Crafts.